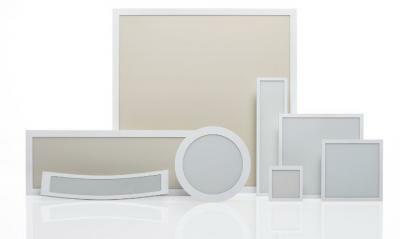 LG Chem announced it developed new OLED lighting panels that features 100 lm/W and a lifetime of 40,000 hours. The plan is to release these panels towards the end of 2014. 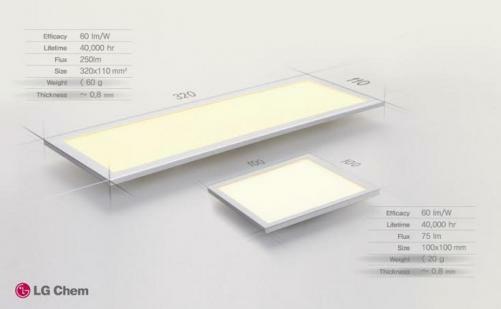 It's not clear, but it's likely that LG Chem aims to replace all current 60 lm/W OLED panels with the new 100 lm/W ones. According to reports from Korea, LG Chem claims that their OLED panels will be available at lower prices compared to LED lighting. I'm guessing this is more of a "forward looking" statement as OLED panels are still very expensive, even after LG's plan to cut OLED prices by about 60% in Q3 2014 (from about $600/Klm to about $200/Klm). LG Chem also says that it is teaming up with major Japanese and European car makers to develop OLED lighting tail lights, with possible commercialization in 2017. LG seems to be very interested in the automotive market, and LG Display recently signed agreement with German car makers to supply flexible OLED displays. LG Chem currently offer eight different OLED panels, including the world's largest panel at 320x320 mm and the world's first flexible OLED panels. LG Chem's panels currently feature 60 lm/W and a lifetime of 40,000 hours (LT70), but as we said these will be upgraded soon to 100 lm/W.